Karela PSC had released result of online written examination which was conducted on 30th December 2014 for the posts of Pharmacist on the official website. 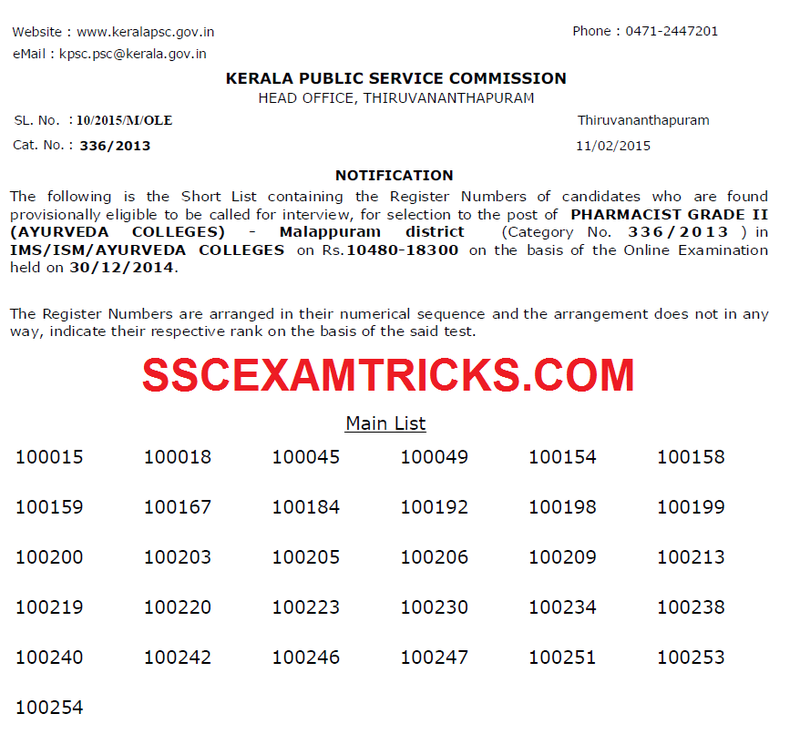 Kerala PSC has released list of shortlisted candidates called for interview which is expected to be held in the month of April 2015. Earlier Karela PSC has released district wise advertisement category number 336/2013 for the posts of Pharmacist Grade II Ayurveda pay scale Rs. 10480-18300/- of various district i.e. Malapuram, Palakkad, Kottayam, Pathanamthitta, Alappuzha, Thiruvananthapuram Districts. Those candidates who had applied and waiting for their result / interview list of candidates can download their result from the direct link provided in the end of the post. A three times more than the requirements of candidates are called for Interview.